Proposals for Genoni and its territory, passing through Museums, sites of cultural interest and the splendid Giara Park accompanied by qualified and passionate guides. Our educational workshops have been designed for both families and schools, using a dynamic approach which allows complex topics to be tackled in a simple and clear way. The Activity Room can be adapted to suit different needs and to host different types of workshop. 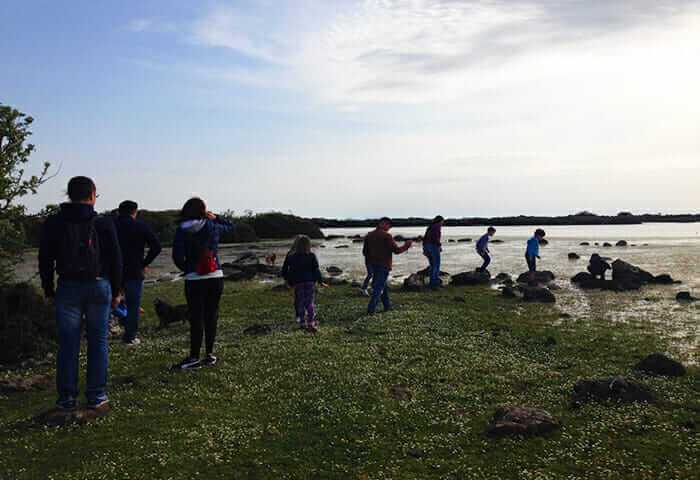 The Museum is adequately equipped to organize and manage activities for groups of over 50 children. If preferred, it is also possible to hold outdoor workshops amongst the cork oak groves of the Giara plateau, or in front of a breathtaking panorama at the foot of the Santu Antine hill. This is one of our educational workshops dedicated to recycling – more precisely, to paper recycling. During the programme, participants are accustomed to the different stages involved in manufacturing a sheet of recycled paper, and end by creating their own little personalized notebook. Not only do children and youngsters learn how to recycle paper, but also understand why it is so important to do so, and, above all, how simple it is to achieve. Through play and creativity, this paper workshop provides a way of forging a contact with the world of recycling and the countless potentials it has to offer. The duration of the workshop can be tailored according to individual needs, with either day-long or multiple-session programmes. This workshop begins in the archaeological section of the PARC Museum, where children learn about the 39-metre-deep (128-ft-deep) nuraghic well at the summit of the Santu Antine hill and the finds unearthed there, before continuing their educational journey in the archaeological laboratory. In this comfortable space, children are acquainted with the lost wax casting (cire perdue) technique, and are able to create their very own copies of Bronze statues out of plastic modelling material, drawing inspiration from images of the many bronze statuettes excavated in Sardinia. These palaeontological workshops take place in the PARC Museum complex, where not only can visitors marvel at a collection of fossils dating to the Miocene, but also simulate the work of a palaeontologist, discovering the secrets of the profession. 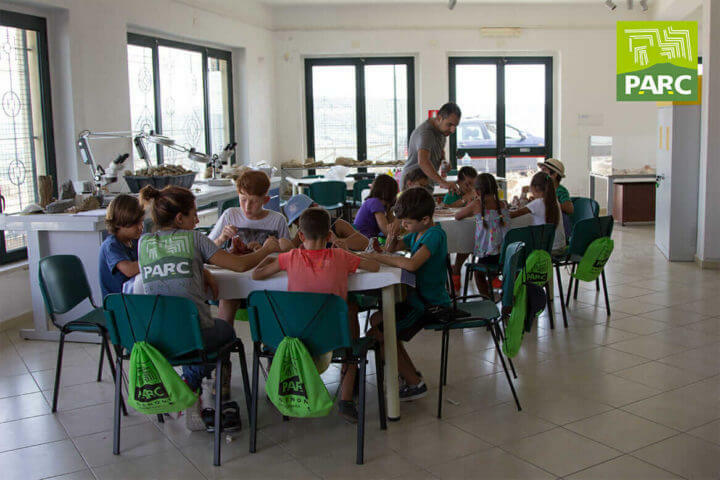 Hands-on activities using the materials and instruments employed in fossil research allow schoolchildren and other young visitors to learn about the geology of Sardinia and grasp interesting concepts on tectonics and fossilization. Through fun and games, they are able to learn about the fossil-cleaning technique, and the conservation and aftercare of fossils, all with the aid of hammers, adhesives, chisels and micro-chisels. We offer families the perfect day out together, where children can have fun and learn at the same time, while parents can choose to go on guided tours of our sites and museums. One of our specially trained tutors takes children on an enjoyable educational experience using dynamic and active teaching methods, allowing children to put theory into practice. 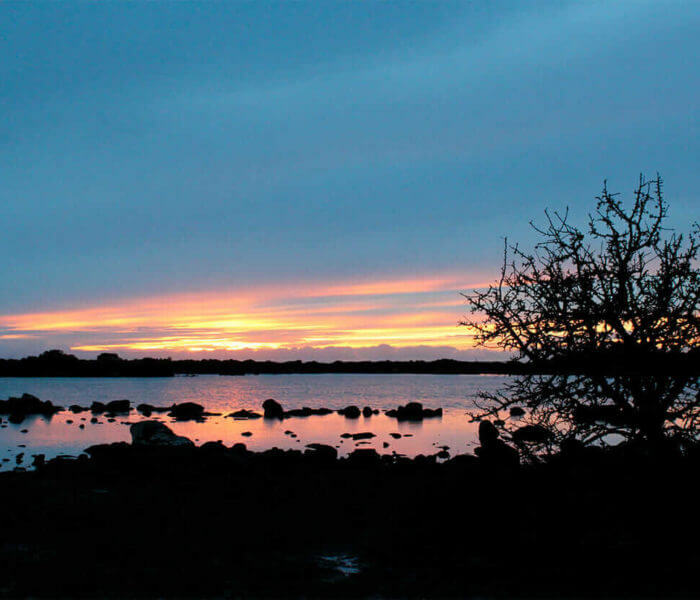 We can tailor the visit to suit your family’s needs and arrange times that work best for you. A guide will take care of you for the duration of your day with us, and we can also make eating arrangements in an agriturismo, restaurant or organize a picnic for you. 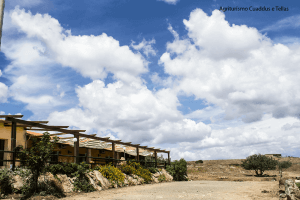 This newly built agriturismo, immersed in 15 hectares (37 acres) of land and home to a drove of Giara horses, is a welcoming and family-oriented holiday farm. It is an oasis of calm where the young and the not so young can try their hand at farming activities, from tending to livestock to pasta- and bread-making. The agriturismo has two comfortable bedrooms.